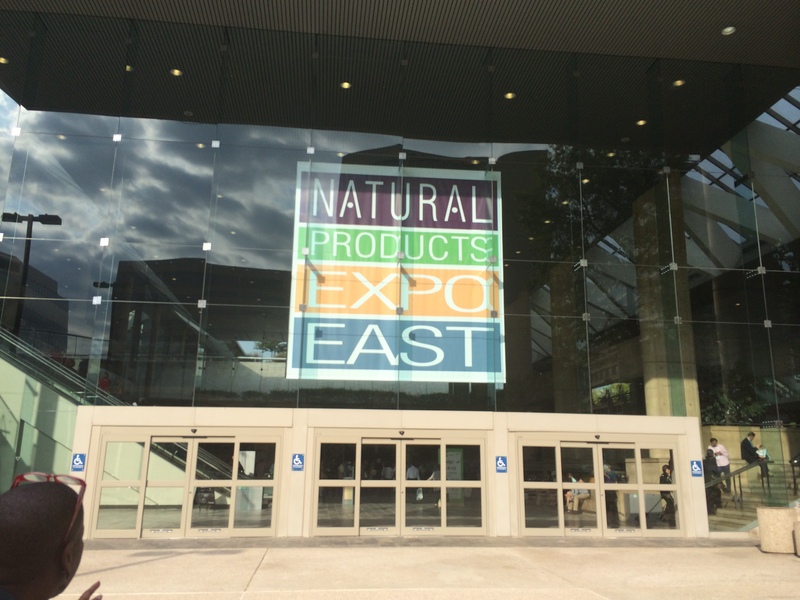 Its that time of year again Expo East in Baltimore September 17-20 .This post is first of our two part series on the trade show. After tasting dozens and dozens of samples we found some favorites .This year manufactures didn’t really have many new dazzling products .They might be saving the best for Expo West 2015 .Below are the products that we enjoyed . 1.Fire Cider~Fire cider the organic health tonic .The name speaks for itself when i swallowed it i felt a burning sensation down my throat. 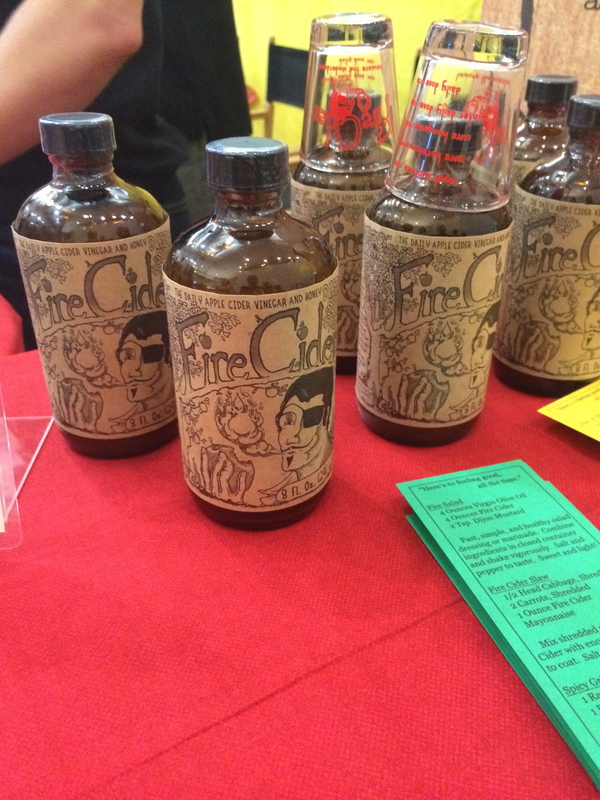 .Fire cider consist of vinegar & honey . We choose this product because it has a range of health benefits such as seasonal allergies , immune system support and digestive support .Currently these tonics are sold in the east coast and some stores carry the cider in midwest and west coast . 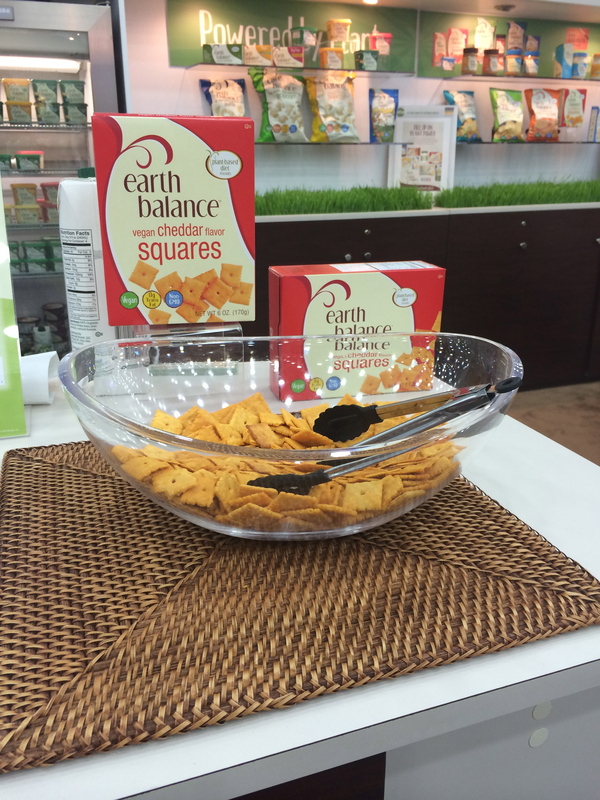 2.Earth Balance~ vegan cheddar squares ,imagine cheeze-its without the extra ingridient and dairy .Well earth balance created the product. They continue to take cheese alternatives to the next level . These crackers are a great snack or soup topping .WARNING you might eat the box in a day because they are addictive . 3. Hampton Creek~ Chocolate Chip cookies dough- At the booth we were able to try the dough and baked chocolate chip cookie .We loved the soft chewy baked cookies. Sometimes its hard for vegan bakers to make chewy cookies . 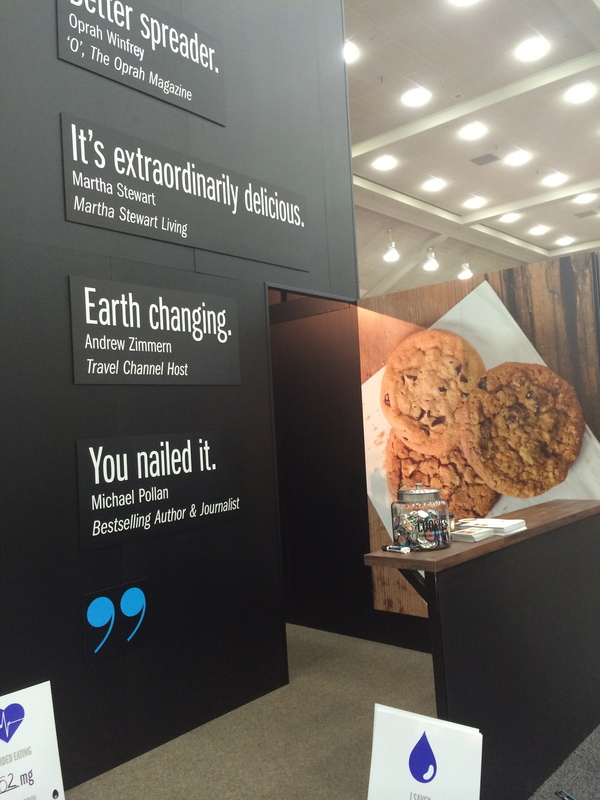 Hampton Creek has figured out a way to make chewy vegan cookies . 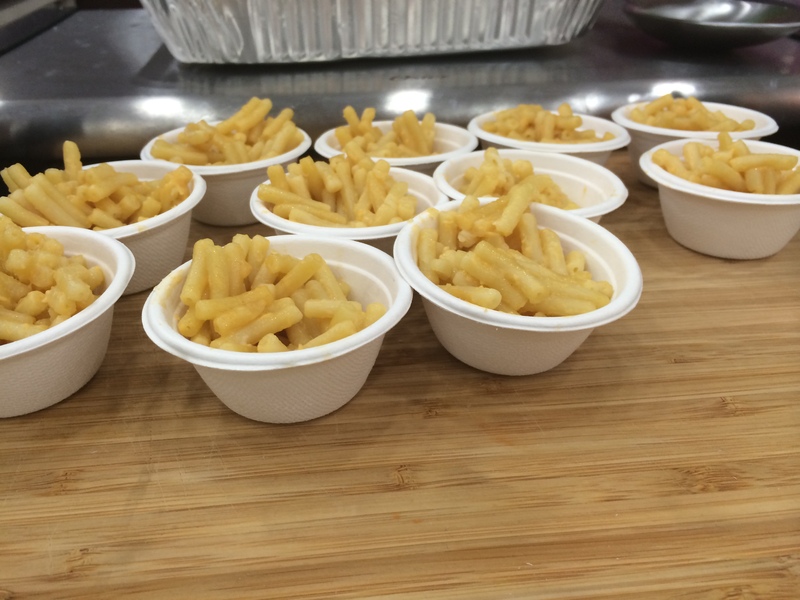 4.Earth Balance ~mac and cheese. Many vegan box mac and cheese usually lack the creamy cheese sauce and rich sharp flavor . Earth Balance has created a delicious mac n cheese that is creamy , light and rich in flavor.